I m an English teacher looking for illumination! Small Exercise for practicing How much for asking prices, Using verb to be and verb to cost. 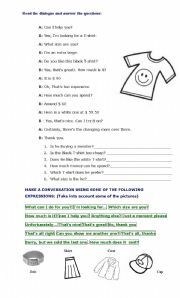 An easy and fun to do worksheet to practice prepositions and there is- there grammar structures. 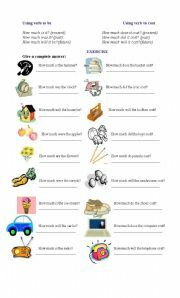 good exercise using simple present and simple past with regular verbs. An easy to understand exercise to help introduce the 5 basic Wh questions to entry level students. 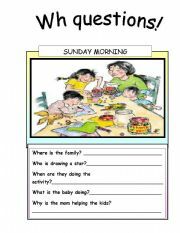 An easy activity for testing children�s proficiency on routines, prepositions of place and descriptions. 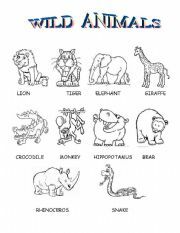 A coloring worksheet to introduce wild animals to little ones. 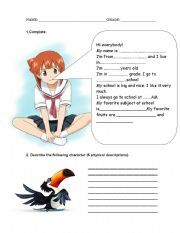 A short exercise for practicing present simple. 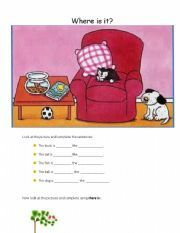 A crossword puzzle to help students with the spelling and written form of numbers from 1-30.